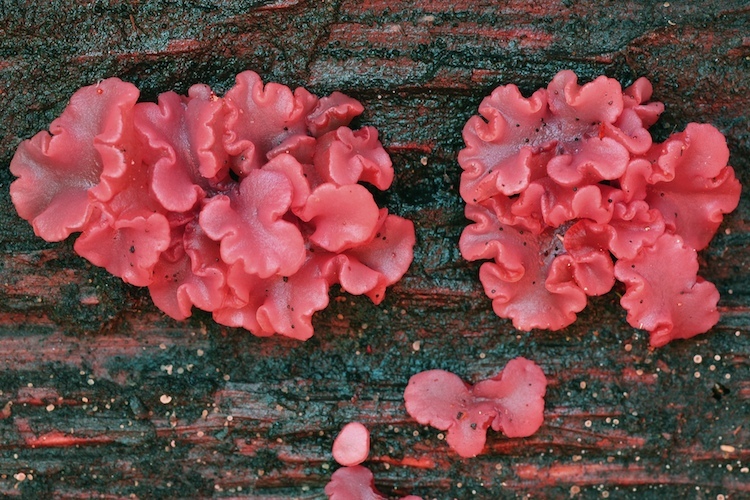 Gelatinous, disc-shaped or complex, amorphous ruffled fruitbodies; colored pinkish, purplish or dull magenta. Saprophytic, but evidence suggests that members of this genus infect living hosts and remain latent until the tree dies. Genus is unmistakeable, identification of species presumably straightforward but research in our area is lacking.